Our indoor cabinet range consists out of three models: Rotaid Swift, Rotaid Plus and Rotaid Solid Plus. A favourite among schools, sport centres, shopping malls and other indoor venues where you just need that extra impact. Our most sturdy indoor cabinet with IP54 and IK1020J rating. Can be found in warehouses, industrial parks and other conditioned places. Also deals very well with moisture and dust. with the manufacturer's recommended outdoor bag. Choose your type, color and background. Save it, print it or share it! 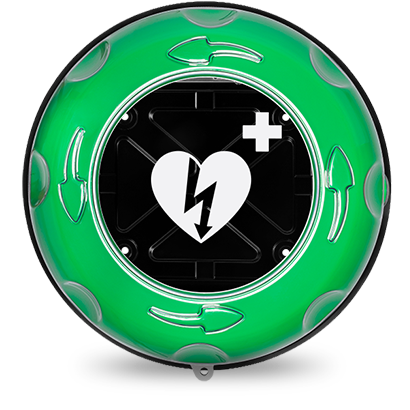 Discover our custom made line of accessories and give your defibrillator even more impact. Another Polish football stadium becomes a heart safe place! 2 Life saving Philips defibrillators are installed at the Stadium Wroc?aw by our partner Max Harter! Stadium Wroc?aw officially joined the Polish action Active For Heart! 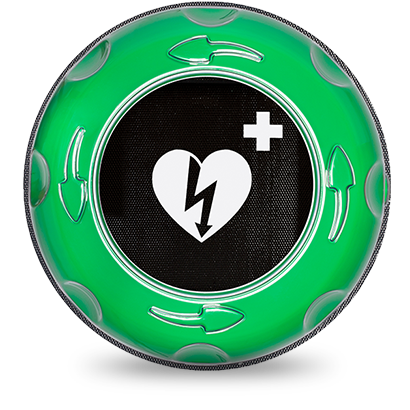 It is enriched by two high-end Philips defibrillators #AED. The defibrillators are installed in a Rotaid AED cabinet. About the stadium WroclawThe Municipal Stadium in Wroc?aw is the highest fourth category football stadium built for the 2012 UEFA European Football Championship in Poland. It is the home stadium of the ?l?sk Wroc?aw football team playing in the Polish T-Mobile Ekstraklasa. More Stadiums in PolandThis is not the first stadium in Poland equipped with life-saving equipment by working with UPS Foundation and the Fundacja Volunteers for Sport. Also Ergo Arena and Stadion Energa Gda?sk are heart safe places to visit.